Editor’s Note: Jack King died on June 11, 2015 at the age of 84. This interview, conducted the previous year, was published in the July 2014 issue of RocketSTEM. It appears to be one of the last interviews conducted with him. Most people have crushes on astronauts, but I’m smitten by a voice. Jack King has never been to the Moon. He has never had a ticker tape parade. You wouldn’t recognize him if you passed him on the street. But the moment he begins speaking, chances are you’d want a front row seat, because Jack King has seen it all. 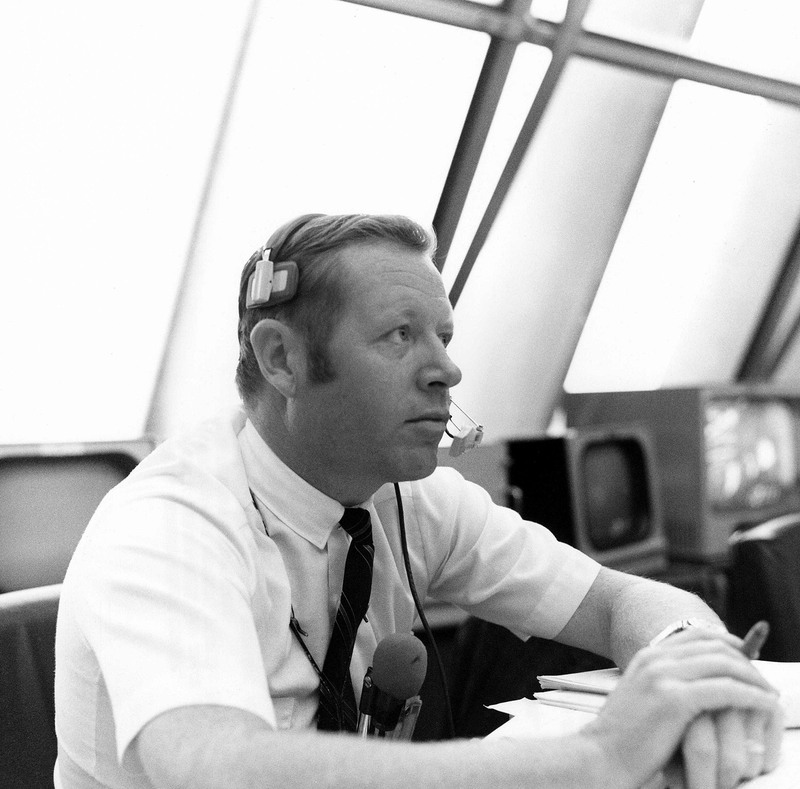 King is best known for his work as the NASA Chief of Public Information during the Mercury, Gemini and Apollo missions. 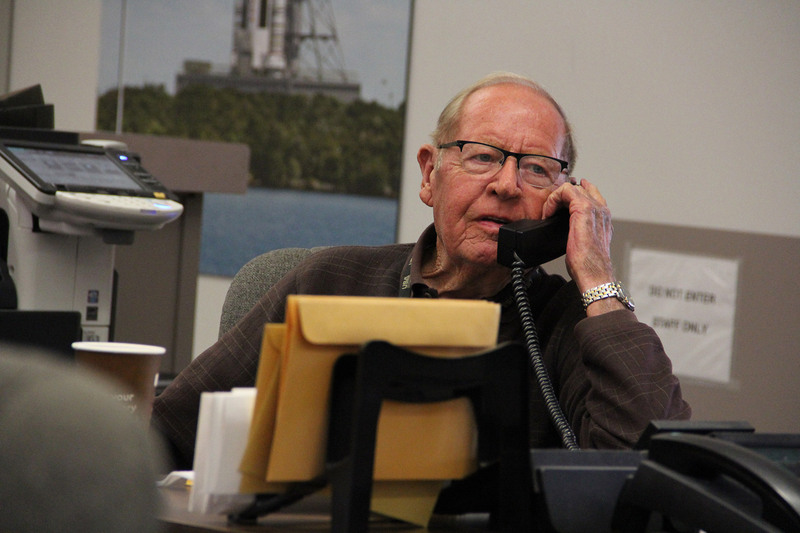 It was his voice that was heard as Apollo 11 lifted off for the Moon, earning him the nickname, “The Voice of Apollo.” A 15-year NASA veteran, King is now retired, but still volunteers his time as a public affairs officer for the agency with which he is so associated. 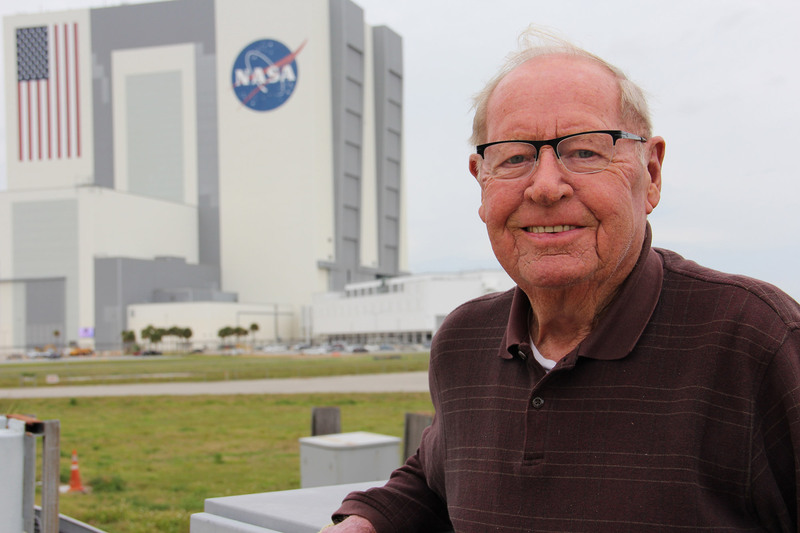 I recently had the privilege of sitting down with King for a generous interview that spanned some of NASA’s greatest accomplishments and his most cherished memories. RocketSTEM: How did you make a name for yourself in the world of journalism? Jack KING: “I was born and raised in Boston, Massachusetts. I lived there for 25 years. My dad was a sports writer for the Associated Press. I wanted to follow in my dad’s footsteps as a newsman. That’s how it all came about really. I worked as an office boy for the Associated Press every summer from high school all the way through college. “I started off as the low man on the totem pole and worked my way up. I was a rookie newsman working with some great people, some really talented people and I was fortunate enough to take advantage of their guidance. RS: When did you start covering launches? KING: “The early era of space exploration was driven by a race between the Soviet Union and the United States. In 1957 I covered the launch of Sputnik, followed by the explosion of Vanguard and a month later Explorer 1. “What happened was after Sputnick, Associated Press saw what was going on down in Florida. We were developing our own big rockets, at the time the Atlas and the Titan. They decided that they should have a full time news chief down at the Cape. So my bureau chief recommended me and the next thing I knew I was down there covering all the stories. RS: How did you become a permanent part of America’s beloved space agency? RS: Did you ever meet President Kennedy? KING: “I’m from Boston and we grew up with the Kennedys. I had great respect for President Kennedy. I don’t think he was particularly a tremendous champion of the space program but he was in is a position where he had to use it and that is what lead him to give us a mandate to land a man on the Moon before the end of the decade. “In those days everything we were doing was for the first time which was quite a challenge in itself. As a result of Kennedy we had the nation behind us. “NASA started out with the Mercury program and that was to show that man could work in space. The first mission was with Alan Shephard and anybody who was there never forgets. I must admit it was the only launch I got misty eyed on, the first American to go into space. RS: When did you start during launch commentary? RS: How did you get the nickname the Voice of the Apollo? RS: Where were you during the Apollo 1 fire? KING: “I was in a block house when the fire happened. I used to sit in for all the prelaunch tests to get the experience and that was something I will never forget. RS: What do you remember about the launch of Apollo 4? RS: How intense was the press back in the early days? RS: How did the media get launch information? KING: “Back in the beginning we were operating on a military facility and information was very limited. Nobody would tell you anything. When the Vanguard blew up the press wasn’t allowed to go out there at all. So what I did was make sure I was available to the press with as much information as possible. “One thing NASA did at the start was hiring four really good newsmen. I came from the Associated Press and obviously I had to be a pretty good writer. Paul Haney and Al Alabrando came from the Washington Star. These were good solid news guys who could really write. A guy named Julian Spears came from a newspaper in North Carolina and he got things very organized. “Jim Webb was the NASA administrator at the time and he did a fantastic job. He would pound his feet on Capitol Hill and really got the NASA public affairs program going. RS: How has NASA changed over the years? 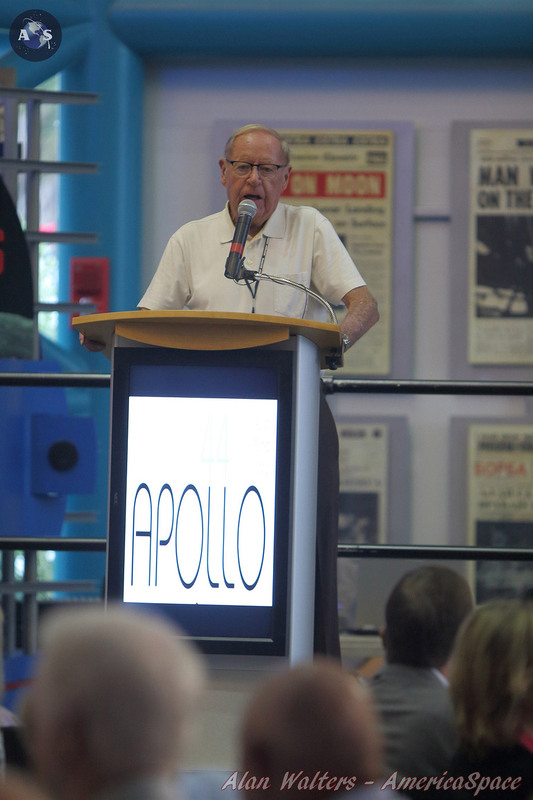 KING: “When you consider the Apollo era and all these things that took place the 1960s it was one of the most dramatic decades of the 20th century without any question. We had three major assassinations. We had the cold war with the Russians and the hot war with Vietnam. We had the protests about the war. You had racial unrest all across the country. You had the rise of the hippie and drug movement. All of these things were taking place while we were trying to develop our capabilities to go to the Moon, which we did. “There were a lot of negative things in that decade and what NASA was able to accomplish was just incredible. RS: Back then five cents from every dollar went to NASA, and now in 2014 a half of penny goes to the agency. How are we suppose to get to Mars with that kind of money? RS: Do you think the International Space Station slowed us down? RS: How would you like people to remember you?